Lima, Peru. Official visit to South America by a delegation of the National Basque Party (PNV). Party President, Andoni Ortuzar, and the secretary for international relations, Mikel Burzako, cleared their agendas in order to visit the Lima Basque Club as part of their recent visit to Peru on January 18-19, 2019. 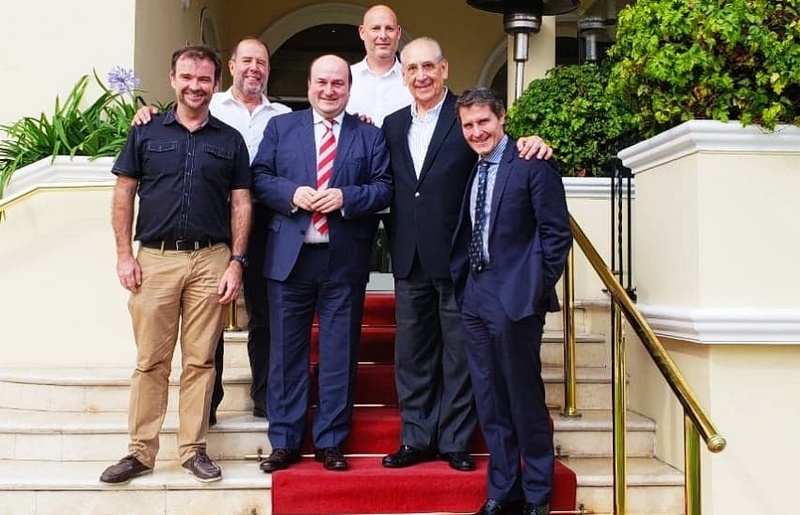 The local club told us that they were welcomed at the clubhouse by president, Raul Noblecilla, and board members Juanjo Meneses Berasategui, Ignacio Ortuzar and Alberto Escobal with whom they talked about Euskadi and its links to Peru, as well as about activities developed by the club. During the year, the Lima club organizes Basque festivals as well as dance and Basque classes. Currently, they are also involved in working on a historic memory project in which, the representatives from the PNV showed much interest. On Saturday the 19th, Ortuzar was declared a “Distinguished Visitor” in the city of Cuzco, and on Sunday the 20th the delegation traveled to Chile to continue its trip.